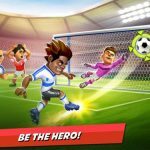 Boom Boom Soccer is an new mobile game from Hothead Games that can be described as the company’s follow-up to the successful Boom Boom Football. This time, though, this game isn’t about the American kind of football, but the one most people from other places of the world refer to. 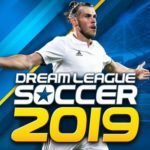 Like its American football equivalent, Boom Boom Soccer does not come with any real players, meaning you won’t get entire Premier League, La Liga, or Serie A lineups, but rather lineups of fictional players of varying rarity. 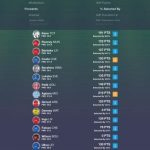 Now, that we’ve given you a short primer of the game, let’s take a closer look at the game, namely the fact that you need good and rare players to succeed. And with that in mind, you can get more players by getting player cards; normally, you will have to buy these cards with gold bars, which are the game’s premium currency. So join us now for a fresh list of Boom Boom Soccer tips, tricks and cheats, as we show you how to get more gold bars, and how to make the most out of them by buying player packs. The store will give you free bonus card packs every four hours, though just as a disclaimer, you will often end up with common players. 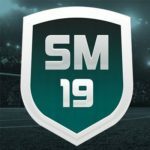 But don’t let that discourage you, as the common players you get from the bonus packs can be used as sacrifices to boost a rarer player you have on your lineup. Besides, it’s free, and getting something for free is always a good thing no matter how you look at it. You probably know of this tip because we did mention it in our previous Boom Boom Soccer guide. Once again, the game will be generous enough to give you a special reward for logging in at least once a day, but this isn’t like those games where you can receive these bonuses simply by logging in. You have to complete a challenge, or quest in order to get the bonuses, though it’s going be worth it in the end, as you’ll often get gold bars as a reward for a job well done. Once again, gold bars means more card packs, so don’t take those daily challenges for granted. Again, you may recognize this tip from our last guide, but we’re mentioning it again anyway, for your easy reference. The daily trophy league allows you to test your mettle against other human-controlled teams, and if you make it to a good position on the leaderboards and finish those all-important placement matches, you will usually earn a good amount of cash and maybe some gold bars too. And those gold bars, as you know, are the only way for you to buy those player packs and hopefully get some rare players inside. Of course, you have the option to play in the regular Boom Boom Cups, if the daily trophy leagues are a bit too challenging for you. Your reward would be player cards, and the better you do in these cups, the better your chances would be of getting rare players. Compete in the Boom Boom Cups, perfunctory as they may seem, whenever you’re having trouble with the other ways you would have to earn gold bars. This sounds like a no-brainer, but it’s actually a pretty valid tip if you come to think about it. See the Milestones section right beside your daily rewards? That’s what we’re talking about here, as you will earn more and more gold bars as you play more games and reach specific milestones. For example, you can get free gold bars after finishing five matches, then twenty, and so on, and so forth, with the number of gold bars progressively increasing.